Why do I have two keys for my extension? Your personal extension shows next to the top two keys on the left side of the screen. Having two keys makes it much easier to answer a second incoming call or place a caller on hold and make a second outbound call. When you have an active call on one key, simply press the second key to automatically put the caller on hold and answer or place a second call. Soft keys appear at the bottom of your screen and change depending on where you are in a call sequence. You select a soft key by pressing the physical button directly underneath it. One of the most helpful tips to using your Polycom SoundPoint 500 or 600 series phone is to watch the soft keys. The system is very good about providing you with a soft key for whatever you are most likely to do next in a call sequence. The first time you access the Message Center on your phone, the system will walk you through your voicemail setup. To access the Message Center, press the Messages button and follow the prompts. To check your voicemail, press the Messages button and follow the prompts. Note: Depending on the feature package assigned to the extension, sub-menus may vary slightly from those shown in the chart. Dial the number on the keypad. Pick up the handset to start the call. Note: Be aware if you pick up the handset before starting to dial, the system attempts to complete the call after an approximately 2 second pause. You will get an error if you have not entered all the digits. To avoid this, leave the handset in the cradle while dialing and pick up when finished. Press Dial or Send or press the speakerphone button. When the phone is ringing, you may pick up the handset to answer. Press Answer or press the Line Key that is flashing green, or press the speakerphone button. Press Answer or the Line Key that is flashing green. Note: When you answer a second call, the first caller is automatically placed on hold. To transfer a call to a recipient without talking with the recipient first, you use the BlindXfer soft key. Dial the recipient’s extension or number. Sometimes, you want to talk to the transfer recipient before sending the caller through. For example, you may want to let the recipient know who the caller is, give the recipient some background information, check and see if the recipient is available to take the call, etc. In these cases, you use a Consultative transfer. After you have spoken with the recipient and are ready to complete the transfer, press the Transfer button again. Note: When you press Transfer, the original caller is automatically placed on hold. You do not have to manually place the caller on hold. To transfer a caller directly to someone’s voicemail, you use the VMxfer soft key. Dial *90 followed by the recipient's number. Dial * followed by the recipient's number. Press the Cancel soft key at any point prior to completing a transfer to return to the original call. Note: You may have to press More to see the Cancel soft key. When you are on an active call, you see a Hold soft key. You may press it or press the physical Hold button on the lower left side of the phone. When a caller is on hold, the line key will blink red. You may press that line key or press the Resume soft key to return to the caller. Note: If you have two callers on hold, or are on an active call and have one caller on hold, use the navigation disk to highlight the call to which you would like to return, then press Resume. When your phone is in the Lines view (where you see your extension number next to keys), the arrows on your phone’s navigation dial are shortcuts to your recent calls lists. Press the arrow on the navigation dial to open the list. Use the up and down arrows on the navigation dial to highlight the number you would like to call. To clear the onscreen Missed Calls message, press the down arrow on the navigation dial to open your Missed Calls list. Press Conference button of soft key. When the third party answers, press Conference again. To add a fourth person, repeat the process. Note: ENA SmartVoice extensions assigned a Pro Feature Package are forwarded using the Reach Me function in the ENA SmartVoice User Portal and not the access (star) codes show below. Dial *72 followed by the number to which you would like to forward calls. Dial *92 followed by the number to which you would like to forward calls. Note: You set how long your phone rings before being forwarded using the the Reach Me function in the ENA SmartVoice User Portal. Do Not Disturb (DND) sends all incoming calls directly to voicemail. You toggle Do Not Disturb on and off by pressing the Do Not Disturb button. Note: If you are not receiving calls, check to make sure Do Not Disturb is not activated on your phone. You will hear a message telling you on which orbit the call is parked and prompting you to complete the transfer. Press Transfer to complete. When you let a person know they have a parked call, you will need to tell them the orbit number on which the call is parked. To pick up a parked call, go to any ENA SmartVoice phone in the building and dial *99 followed by the orbit number. Note: Zone pages are broadcast through the phone speakers, not your building intercom system. 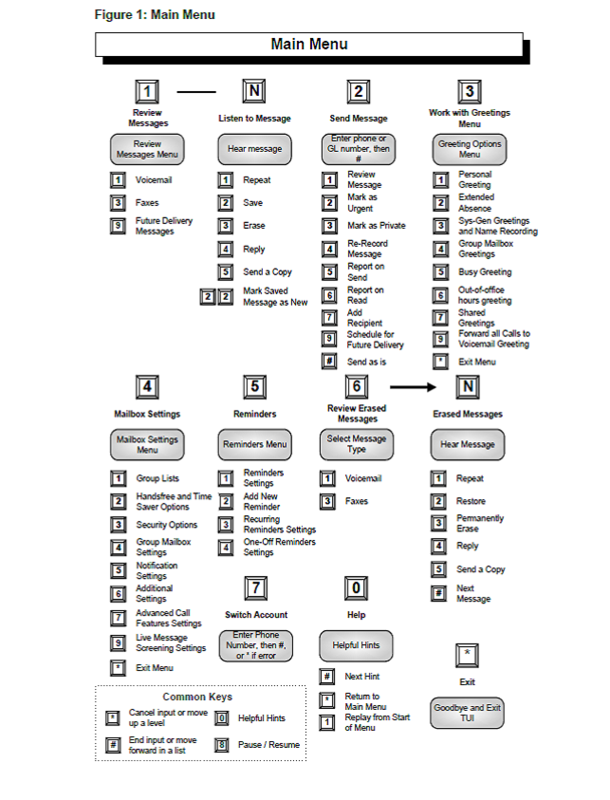 If your system administrator has created paging zones (for example, All Call, Second Floor, etc.) and assigned your phone broadcast permission, you see a Paging soft key on your phone. Use the navigation dial to select the zone you would like to page. Your system administrator will provide you with an extension to dial to make an announcement through the building speakers. Dial the intercom system extension. When hear tone, enter the number of the zone to which you would like to broadcast. When hear tone, make your announcement.